‘Dream Patterns’ from ModeAudio brings your Reason library bang up to date. With 50 colourful House basses, chords, pads, leads and sequences for the Thor synthesiser, and 10 Combinator patches to build in extra detail, this release will have your tracks sounding fresher than ever. Taking in everything from smooth but powerful basslines and twisting, pulsing chords to sparkling pads and lively leads. There are nods to a variety of emergent House strains, from the chilled to the upbeat and beyond. No control has been left unused in harnessing Thor’s synthesis arsenal, with versatile, full macro control assignments throughout. There are Combinator patches for taking the individual sounds to new heights of force and complexity, and 45 MIDI loops so that you can audition instantly. 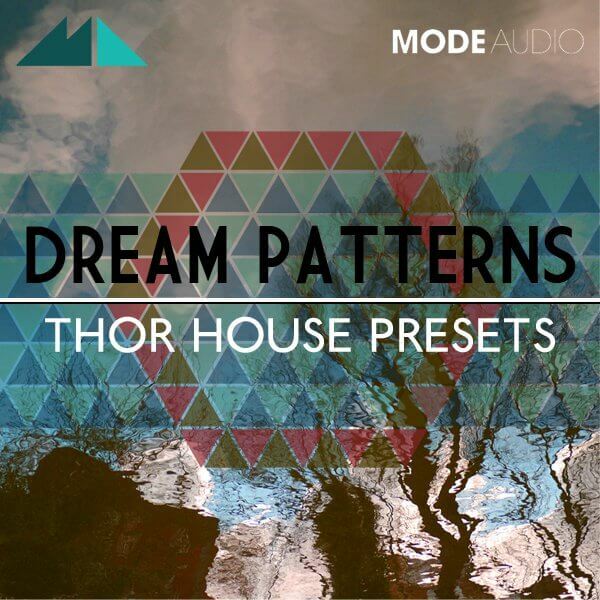 Let ‘Dream Patterns’ take you to the edge and push Thor to the max!